My choice is I2C on VoCore, due to it is necessary for AD convert chip, my board main chip is PCF8591T. In VoCore forum, somebody have tried that already, happens to use the same chip, that really helps a lot. 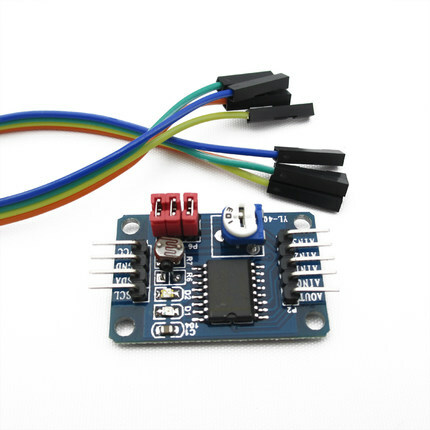 Important Note: I2C should have pull up resistors on SCL and SDA, but for simple, I did not use it, my current PFC8591T just works well, but it is not guaranteed, in other case, MUST connect with pull-up resistors. ssh to VoCore, check if /dev/i2c-0 exists. Option: we can install i2c-tools to test i2c. Current openwrt package, it has been removed. We can find it in old packages for 14.07. 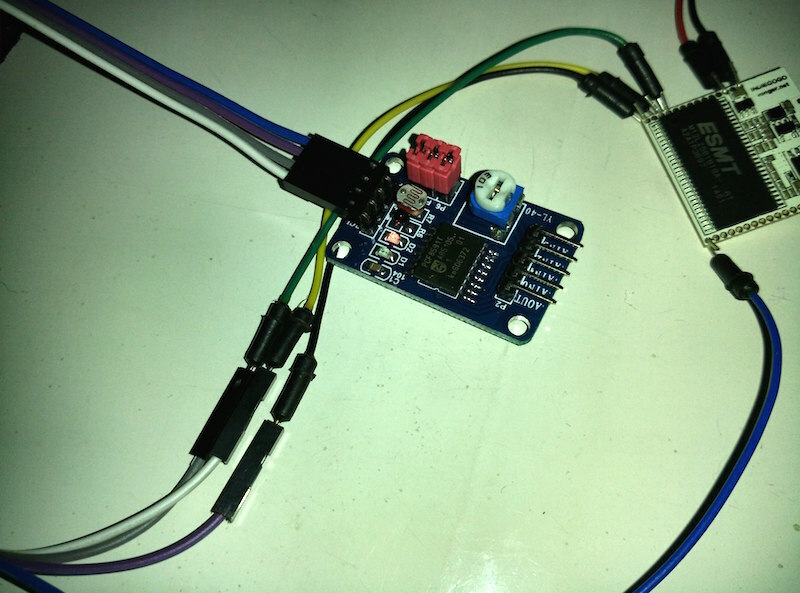 I will probe file /dev/i2c-0 using receive byte commands. That 48 is HEX, it is equal 1001000b, that is PCF8591T address code, so this device is normal. This entry was posted in VoCore on 2015-04-14 by vonger.